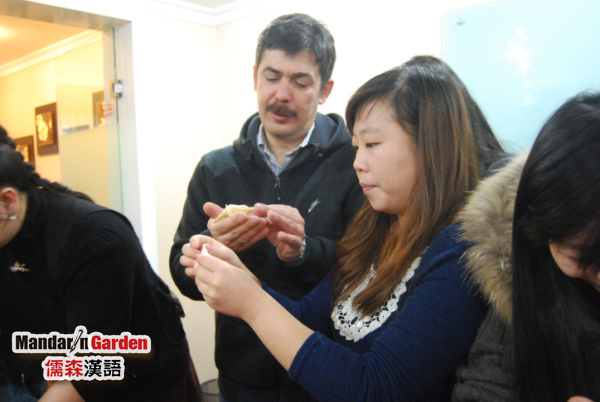 According to the informations, in January 2013, a cooperation between Mandarin Garden education group and this Japan city developed a project called, and successfully set up a Chinese training institutions in Tokyo (Japan) , for more than half a year, ushered in a batch of Japanese to learn Chinese, which have college students, office workers, and more people from different social stratums. On the class day,teacher Li also tells some original legend stories of the Mid-Autumn festival such as "The Goddess Chang's fly to the moon" "moon dao medicine", "wu gang won" ,through the video images to let everybody understand the meaning and symbol of the Chinese spirt of "Mid-Autumn festival". 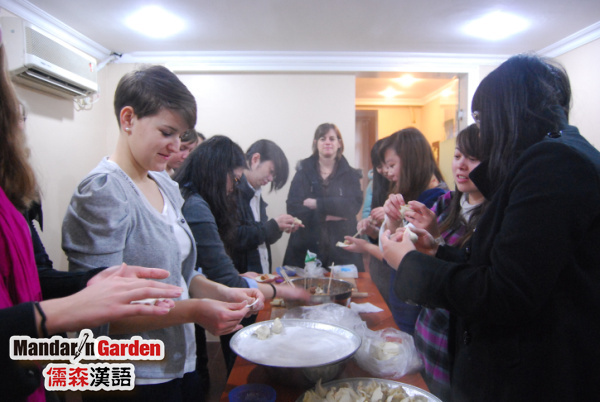 For love and interest in the Chinese culture the Mandarin Garden (Japan) in Chinese training institution of the Japanese students learning Chinese,students would really like to know how Chinese people celebrate the Mid-Autumn festival. In order to let students really feel and experienced the China's Mid-Autumn festival custom, that day has carried out a "dumpling wrapping, moon cakes Mid-Autumn festival" activities. For this event, With Chinese teaching practice and the experience of Chinese culture, nine Japanese students with Mandarin Garden Chinese teacher Li lear to read "today, we wrap (cook, eat) dumplings,first the teacher Jin from Mandarin Garden gave a demontration to the students on how to wrap the dumplings , then everyone start wrapping by themselfs and also in the same time talking about the differences between chinese and japanese dumplings with greatinterest,like the way how to wrappe them,cooking methods and how to eat them in China and Japan. Interaction of teachers and students, the plates of hot dumplings, sweet moon cakes are all displayed on the Mid-Autumn dining table, Teachers and students sit around talking about the Mid-Autumn Festival Complex. "Before, I often eat Fried dumplings, today, I am eating boiled dumplings, I want to have a taste og it." , Chinese students from Tokyo basement suzuki huimei after wrapped a plate of dumplings smiled and said, "still have the moon cake, this is my first time tasting the Mid-Autumn festival, the feeling is very beautiful. But, don't know the meaning of eating moon cakes and the meaning of the dumplings, what is the difference between eating Japenese moon dumplings.